In my review I will describe my 3 year experience with the W1210W thermostat from Shenzenn Meihang (MH). In this article, you can read the pros and cons of the product, how to set it up and where to buy it. 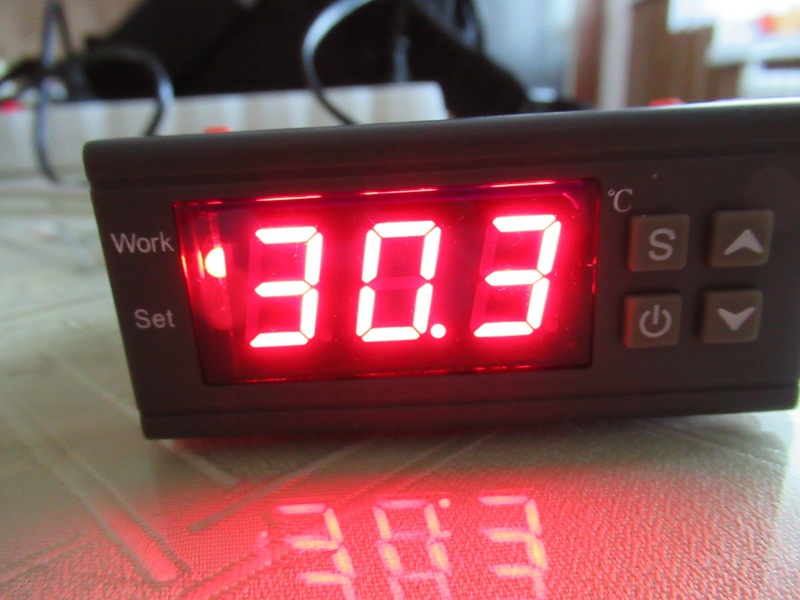 Temperature controller can buy from Ebay or AliExpress, good price varies around about 8 usd and more shipping included.Keep in mind that at low cost 8-10 usd sell thermometers not temperature controllers with case, MH1210W is very cheap (but with good stable and accuracy). 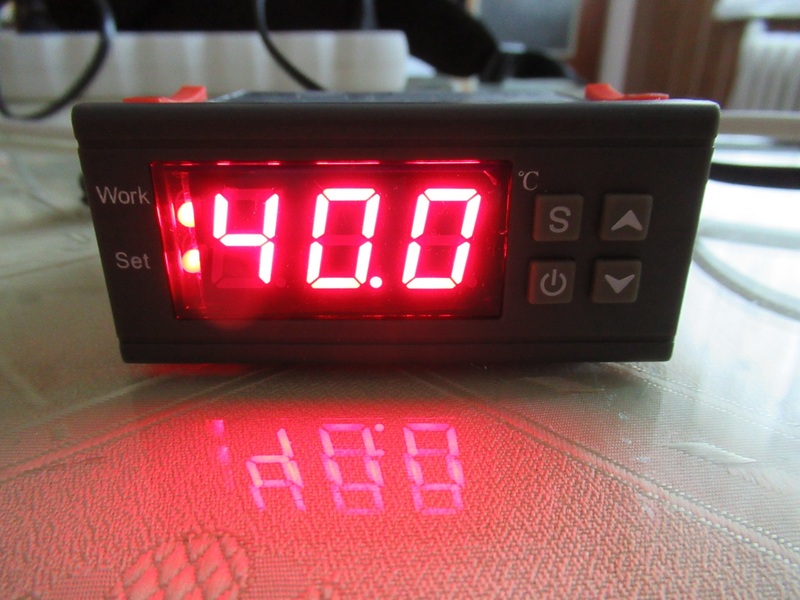 If you need low cost If you want an even cheaper temperature controller recommend XH-W1209 cost is 2-3 usd very cheap but not have case (only PCB electronic circuit). 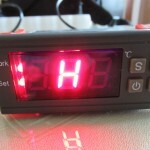 Similar model is with degrees of fahrenheit and support 110V good for US market. For Europe (UK ,Germany etc) use 230V and degrees of celsius. Control accuracy is 0.1 °C it is a great advantage ! Owns all the main functions that need good thermostat hysteresis, calibration, delayed start, and other .. It is a good device with a good price.You pay from 7-15 usd (even with shipping) and you will get a stable device that you can set to high accuracy. The disadvantage is Chinese terminal markers, you may be mistaken when connecting electrical wires so read my manual below. 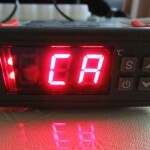 Shenzen Meihanng does not sound credible but produces cheap and good thermostats. 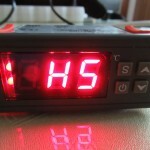 My rating is positive before writing reviews I tried about 450 pieces of Mh1210W. 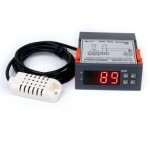 The best use this MH1210W temperature controller is in the hatcheries ,incubator,animal care sensitive to the correct temperature. It is good in boilers for heating water or in refrigerators and freezers. 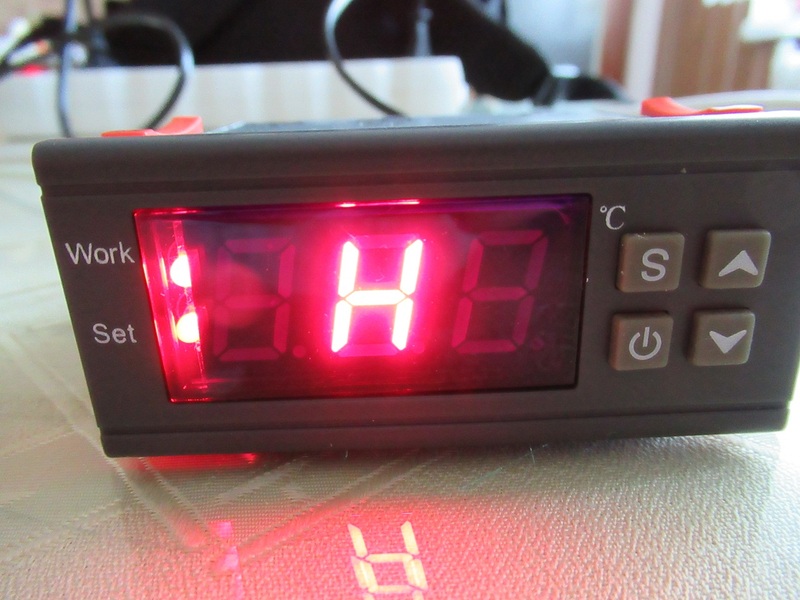 The display has two diodes one shows that the thermostat has activated the relay (your device is on) – this diode has called work. 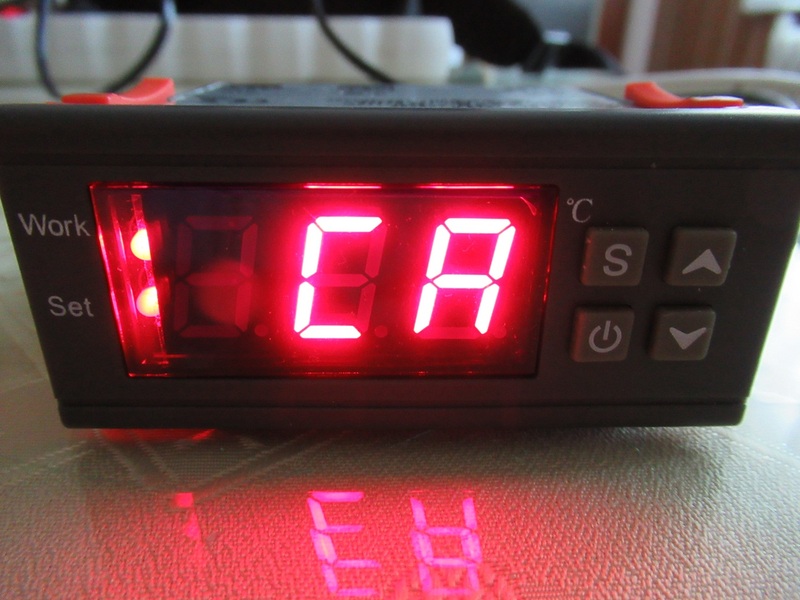 The second diode lights up when you set the thermostat, called SET. Do we involve green terminal two terminals 1-2 is for the relay 1 and 2 , terminal 3-4 for power from 90-250V AC current ,for probe is terminals 5-6(No matter on polarity) . 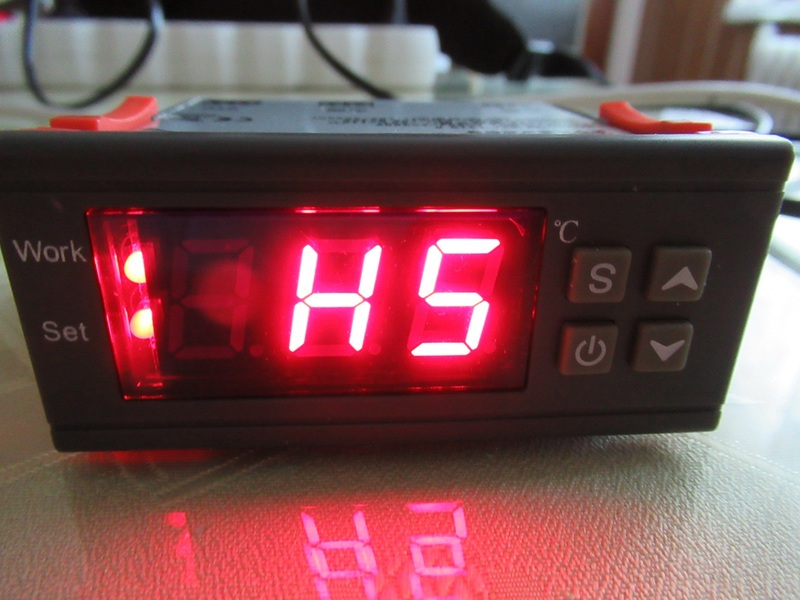 The sensor for the temperature controller MH-1210W is placed in 5-6 terminals. 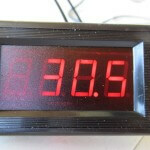 It is about 80 cm long with active iron end.Type of temperature sensor is clasic NTC 10K 0.5% B3435 . 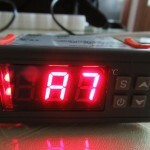 In this manual, I will show you how to properly connect and set up a good temperature controller from China. Power is AC 90-250V This means that the thermostat is suitable for both the US and Europe..The trasformer in controller is stable is not overheating. DONT not connect to 5-6 phase and null wire !! 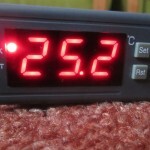 … BAD …mistake temperature controller burn ! 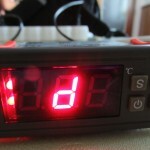 You can put the temperature cotroller the cabinet or any DIY idea. Short press button SET you can set goal temperature. 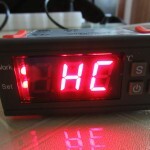 Long press button SET is access to the temperature controller menu. The up and down arrows are to select the temperature or move the menu. 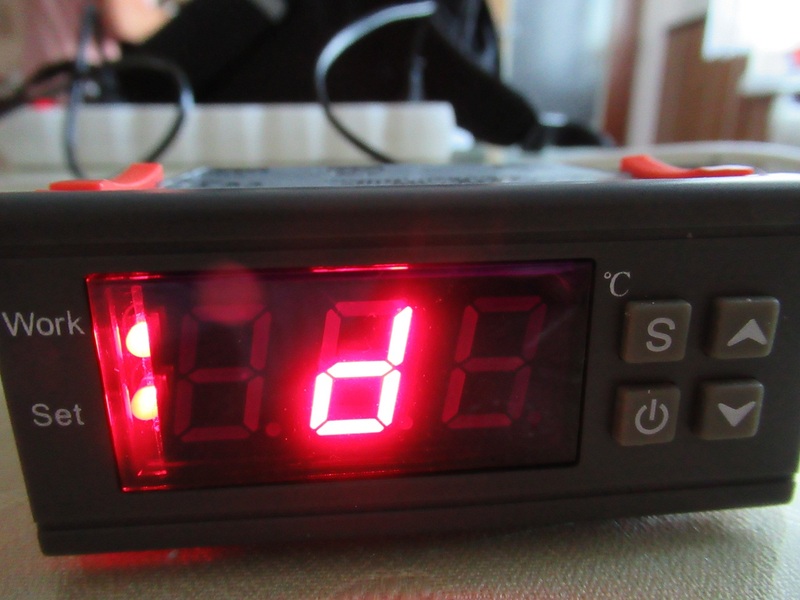 C is cooling the set temperature is 28°C and slewing range (hysteresis) is 2°C. When the temperature rises to 28 + 2C (slewing range of temperature is 2°C) he relay will switch on and start output load,The relay switches off when the temperature drops to 28°C. 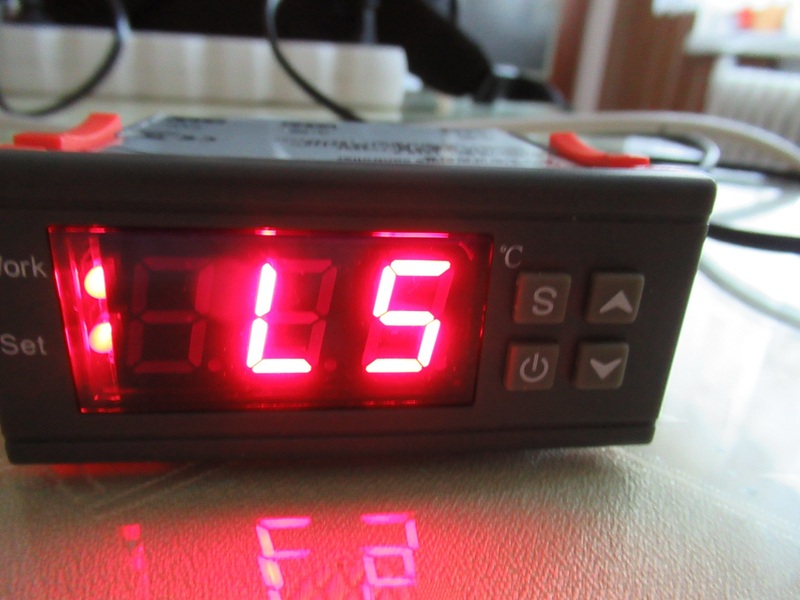 LS and HS min a max SET temperature limit are not the temperature control parameter adjustment, change will reduce the temperature control range.-50°C and +110°C is default range. 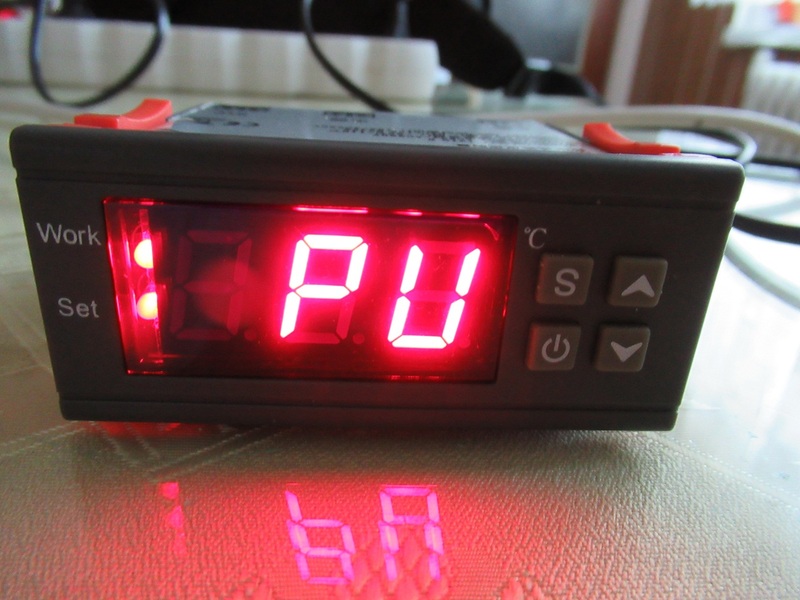 PU is delayed start – (if the delayed start function doesn’t need set the delayed start (code PU) to 0).For example, if you set a delayed start of 1 so when the temperature reaches the set limit, the temperature controller starts to read for 1 minute then the relay switches on. Is good options for protect cooling compressor. A7 is delayed turn of relay For example, if you set a delayed turn off reley 1min so when the temperature reaches the set limit, the temperature controller starts to read for 1 minute then the relay switches OFF. d is hysteresis slewing range (hysteresis). It is a temperature difference if the thermostat does not have to activate the relay. For example, if I heat and I have 28 and d 3 degrees so when the temperature reaches 28°C, the thermostat shuts off the relay and turns it on at 25°C (28°C-3°C as hysteresis). After have done this settings you can quick touch four buton for exist from menu al changes is saved. 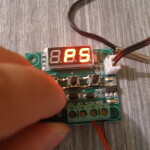 Tempereture controller showing actual temperature .Now set goal temperature : quick touch SET butons and arows up and down Increase or decrease the temperature. 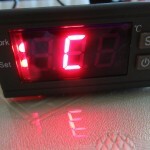 it is default temperature when you click to button SET ..LED light on. You can catch end the thermostat probe by hand and you will see how the temperature rises and when it reaches 31 degrees the working LED and the relays turn off.The relay switches on again until the temperature reaches 30°C…test is done. 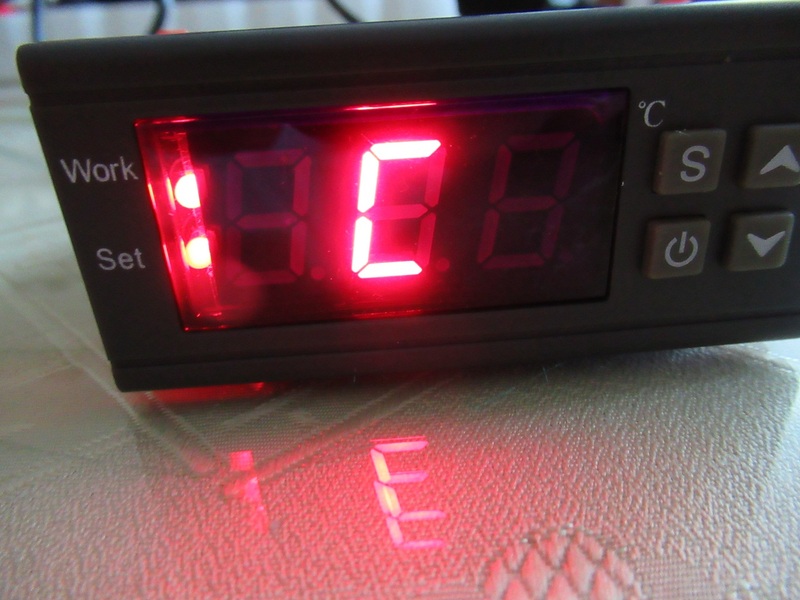 Set the temperature quickly To reach the set temperature faster, hold down the arrow button, the target temperature will change rapidly. Everything is addressed except one very important factor: backup for parameters. If I want to use this to keep something from freezing, I can set heat to come on at 35 degrees F and off at 40. But if there is power interruption, then it appears from manual, that parameters will go back to default of -50. So then I have no protection from freezing, and my product is destroyed, if there is power failure? What is the purpose of a controller with no battery backup? how to use this controller for my Infant baby wamer.? i am from India and a pediatrician. i am sick of using Indian make warmers which break down every month and fed up the low quality of warmers and the probes used and high cost of the servicing personnel. The heater element on the warmer is 650 watts and can i connect this controller to control the temperature. i am a doctor not a electronics or electrical engineer,but i can learn the basics and do something about my problem with help from people like you. 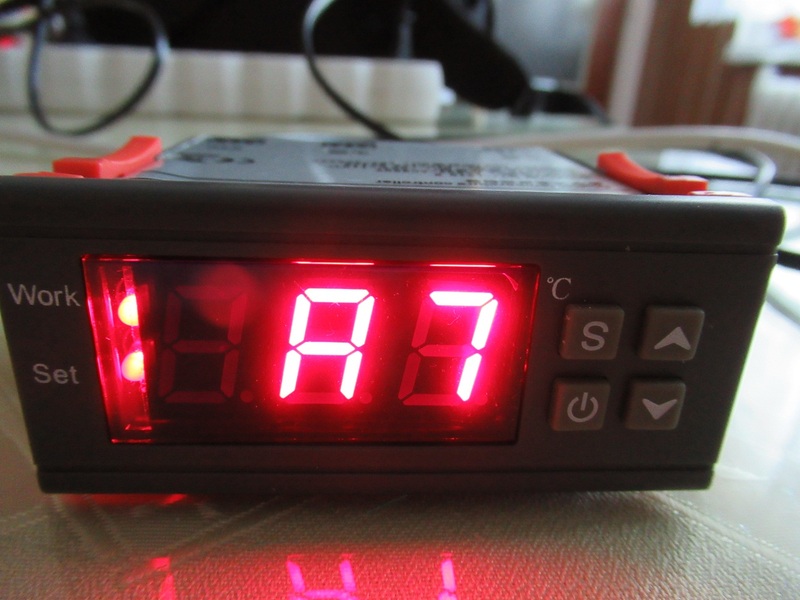 For baby warmer you MUST NOT use a controller with AC 90-250V power supply voltage. 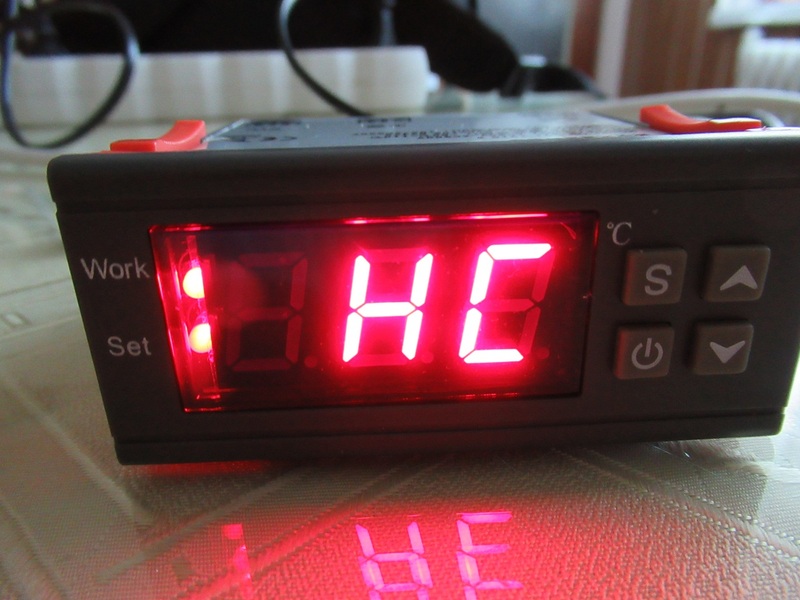 The matter is that the MH1210W temperature controller does not have a transformer inside, it is just a step down converter. 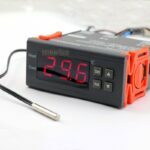 That means the dangerous high voltage could be present on temperature probe (sensor) line and the safety of your baby will depend on sensor wiring insulation quality ONLY! Please don’t take such a risk and use controller with 12V DC power supply. Good luck! Is it possible mine doesn’t have the “D” option? 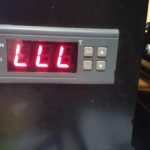 So it starts to cold down when the temp goes 2 degrees higher than the goal. 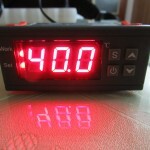 Hi Mh1210W has many version i recommend version from Ketotek. Can you send video or photos with menu functions ? Hi relay is only for switching plus 12 cable split wire by schematic .. from 12V source to relay contact 1 and plus from peltier from relay contatn 2 , minus conect directly – to -. My controller arrived locked and I don’t know how to unlock it to change settings. I enter the menus but I cannot change anything, just the aiming temperature. Do you know how to unlock it? PS: it also came with the wrong manual, so it is really difficult to find any information. 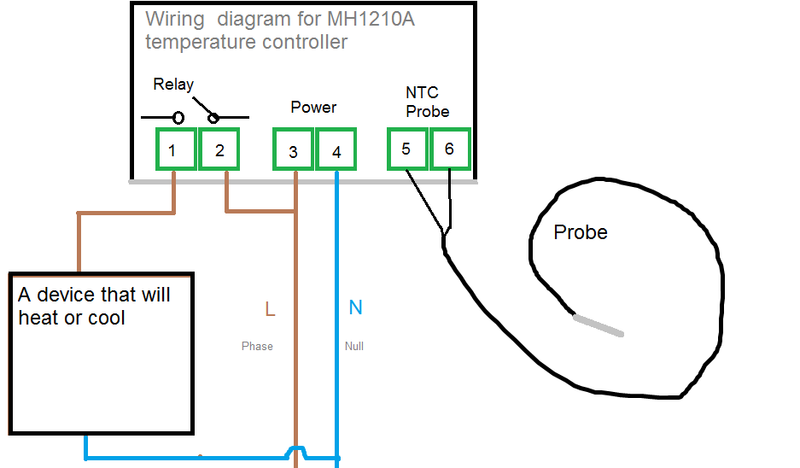 Hi marcus MH1210W not have lock but of course exist similar temperature controlers with lock check back side near by power terminal , maybe have lock dip switches witch can unlock . I locked my device by mistake – OFF flashes – and can not exit. What is the procedure to perform? Hi there, My controller has switched from oC to oF, can’t seem to find how to change it back, any ideas? 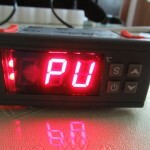 My question is: will be there any problem , if I change the 230V plug, and phase and null lines will be replaced? I mean, in my equipment: 1 is phase, and 2 is null, for power 230V. Is there a problem if I change them? 2 is phase, and 1 is null? Hi wold like to ask about display means HHH? 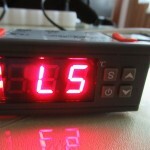 Is there a galvanic seperation between power for the controller and relay output? 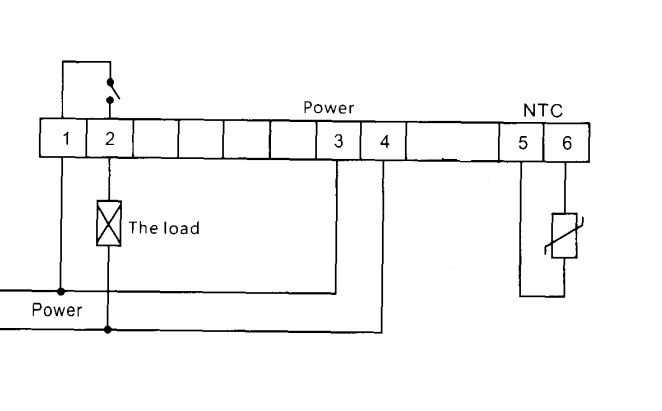 I see some wiring diagrams depict that i can use seperate powers for controller and loads and not worry about L/N, but I cannot find any nspec about it. I have a question regarding setting for on and off: I want my freezer to go on at -10 deg C, and go off at -14 deg C. I tried but could not do. I need help.